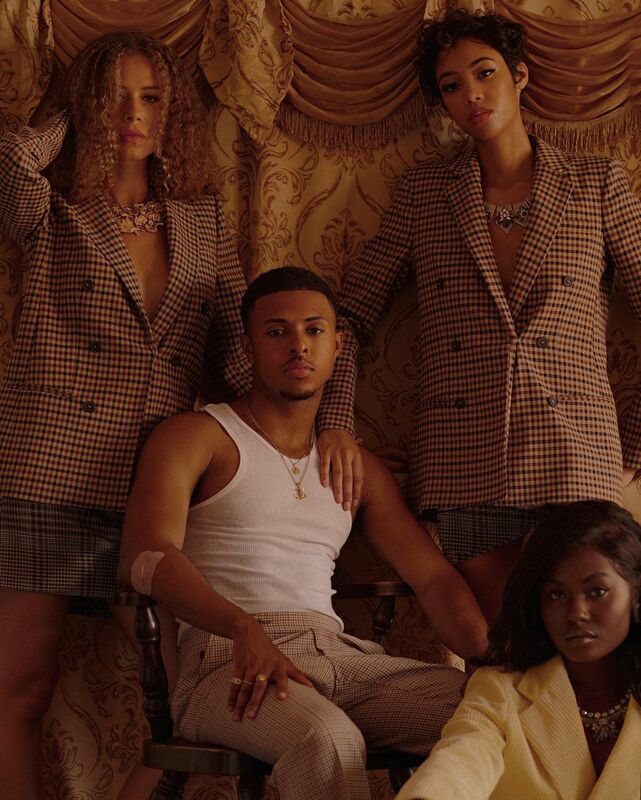 You might remember him as the cute kid on MTV reality show Run's House, but now tween hip-hop prodigy Diggy Simmons is all grown up. Despite his heritage (the star is the youngest son of Run DMC's Joseph "Rev Run" Simmons and nephew of music mogul and co-founder of Def Jam, Russell Simmons), Simmons has never been interested in relying on his famous last name. The teen released his first mixtape The First Flight at 14, as well as a viral freestyle of Nas's "Made You Look," which received co-signs from heavyweights like Kanye West and even a nod from Nas himself. 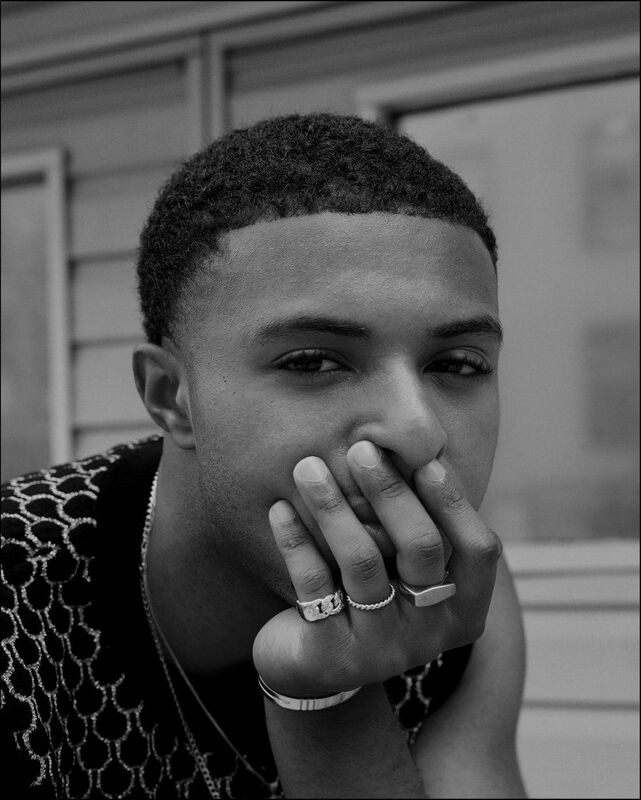 Following a steady stream of buzzy mixtapes and music videos, by 16 Simmons had scored spots in XXL's coveted Freshman Class and Billboard's "Artists To Watch" list — and racked up collabs with the likes of Bruno Mars, Pharrell and Jeremih, cutting his teeth as the youngest member of Lupe Fiasco's rap collective, All City Chess Club. With his tight flows, clever wordplay and charismatic energy, Simmons has proved himself more than just a hip-hop dynasty brat or a novelty kiddie rapper. Of course, Simmons doesn't rap for the sake of proving people wrong or living up to his father's legacy. For him, creating music has always been about having fun, telling his story and love of the form. Rather than vying for relevancy and catering to hip-hop's insatiable appetite for releases, for the last six years (give or take a few singles, for which he secured assists from the likes of Ty Dolla $ign and French Montana), Simmons has kept the industry waiting on his next move. And now, he's ready to give them an answer. Following a series of big-time acting gigs (hi Grown-ish!) and even a stint modeling for Dolce & Gabbana, Simmons will release his sophomore studio album this fall — a coming of age offering about life as a 20-something. The revamped sound of his lead single, the hyper-smooth, introspective single "It Is What It Is," is the product of an artist who inherited the reverence for sophisticated flow and lyricism from from Run DMC's hip hop reign, simultaneously taking lessons from sonic rule-breakers of the modern era. PAPER caught up with Simmons to talk growing up music royalty, authenticity in rap, and breaking into fashion and film. Tell me about what it was like to be raised in the hip-hop world. It wasn't easy. Just from the notoriety standpoint, and wanting to go out and do certain things. Like that middle school age is when you start going to the movies by yourself, hang out with friends. My parents had all this paranoia, they'd be like you need to have a chaperone at all times. So that was hard, but the fame itself, and the love from the fans that I saw growing up was always cool. Did you ever consider avoiding the entertainment industry? Well, when I was way younger. I just kind of got this attitude… where I just wanted to be an individual, I didn't want anybody to attach me to my family. So I strayed from it, and decided I wasn't going to rap, cause' you know, that's like what my family's known for. Then that's when I was like, I was around 13 or 14, I just started doing it just for myself. I just started writing. I was just recording myself on GarageBand on my computer, and then I emailed it to my friends and they were like you have to do this. You weren't motivated by pressure, you were just truly having a great time writing and rapping. It was never like, "Oh, this would be a cool career." It was just very joyful. I just came to absolutely love writing and rapping. It was freeing, it was so much fun. I was like I'm not even going to try to get signed to a label, I'm just going to work out my house and record and put stuff on the Internet. You released first mixtape was at 14, and you're 23, you've been in the music industry for almost 10 years. What is it like to create music with your dad's legacy hanging over you? When I first put out music, people had that skepticism. Of course they did. I was this kid that they saw grow up on television, you know, what is he going to talk about and does he really have talent? I'm happy that people gave me a chance. My family is always going to be in the background of my life, it's who I am, it's my last name. But once people gave the music a chance, all of that kind of went out the door and they started seeing me as an artist. What is your relationship like with your dad now? He's heard the album and he really loves it, he's really proud. And I think, more than anything, it's life advice. It's not usually about music advice. We more just talk about how I should approach day-to-day life, experiences, relationships. It's been a while since we heard from you. Tell us a little about what we can expect from your new project. I hope what people will take from the album is about what life is in your 20's. We're figuring it out, we have our highs and we have our lows, and in one breath. I can be super sure of myself, cocky boasting and on the next song, I can be totally questioning myself. It has layers of all of those different feelings that you go through in your 20's. It's just me being introspective about the things I see, whether it be on social media, or the current climate in the world, romance, relationships, my mental state. It's a life album. I didn't want to leave anything out. Tell me about "It Is What It Is." What were the inspirations for this track? It gets to the heart of what the album is. I feel like this is the perfect first song that could come out of it. Iit's uplifting and positive but it also came from a place of overcoming struggle. Of me finally being able to say that "it is what it is." This is something that all of us have trouble doing — admitting that we can't control everything. Life is going to happen, you're going to bump your head, you're going to go through these trials and tribulations, but at the end of the day you have to put your best foot forward when you wake up, doesn't matter what happened yesterday. That was something I felt like I needed to say and something that I was in the process of learning and doing over these past few years. Hip-hop culture has totally transformed since your dad and Run DMC ruled the world — are you taking a jab at SoundCloud rap on "It Is What It Is" when you say "real rappers are so rare nowadays / I didn't know they still made those"? Not at all! That line is basically just me saying that I'm looking for people with substance or doing something different. I'm saying it's okay if you wanna be that kind of rapper, it's okay if you wanna be a rapper that speaks about certain things, if you wanna be different from the certain climate. Because I've seen rappers who have something unique to say but feel like they have to be a certain thing in order to be successful. So it's basically me uplifting anybody who wants to speak about something. I love it all, and I'm in this unique in-between space. Obviously I grew up around my dad and classic hip-hop, but at same time I'm a millennial, I'm 23. I understand it all. What defines a "real rapper" for you? For me, it's about being honest and talking about what you've really been through, whatever that is. That's something that rappers have done for a long time. So as long as it's coming from a place, where it's genuine, where it's like I'm storytelling about somebody else or I'm taking on this narrative and telling this story. Just because you're talking about X or Y doesn't make you not a real rapper. It's whatever is truly real to you, that's real rap. Who are your favorite rappers today? I love Kendrick, I love Drake. I'm enjoying Nas' new album. Who else, newer? I think Joey BadA$ is great, I think Buddy is amazing. How did you first start exploring fashion and style? I've loved clothes since I can remember. My mom told me a story about being in kindergarten and not letting her pick out my clothes. I wasn't a kid who had his clothes laid out for me on the bed, like I wasn't having it. My first actual introduction into fashion for people to see was the blog that I had when I was 13, where I posted what collections that I liked that from different brands. That catapulted into different fashion figures reaching out to me, and me being invited to New York Fashion Week. How would you describe your own style? I'm getting really strong vintage 70s, almost casino or like Havana nights vibes from your Instagram. Yeah! I've been watching a ton of films and shows, whether it's Mafia movies or Muhammad Ali, right now I'm just really feeling that era, like '60s to '70s. You know, all of those guys, just these cool Italian knits, great fitted trousers. A lot of my wardrobe right now is vintage. I'm literally getting it off this older dude online who doesn't know how sick it is for like $30. Some of my favorite brands are Dries Van Noten, Prada, Legacy, Acne, Wales Bonner. Fashion isn't the only other industry besides music you've crossed into. So the first film that I did was The Start Up, that I did years ago. Kenya Barris wrote The Start Up went on to create Blackish years later. So Kenya is a great friend of mine, still to this today. He had this role in Blackish, and was like how do you feel about it, this is what we're doing with it. And I was like, "It would be an honor, absolutely." The whole cast is full of young talented, awesome people. And I'm proud to be a part of it. Where do you see yourself going in the next few years? Music is always my number one, but as long as it's a cool project, whether it's fashion or acting, I want to be a part of it.